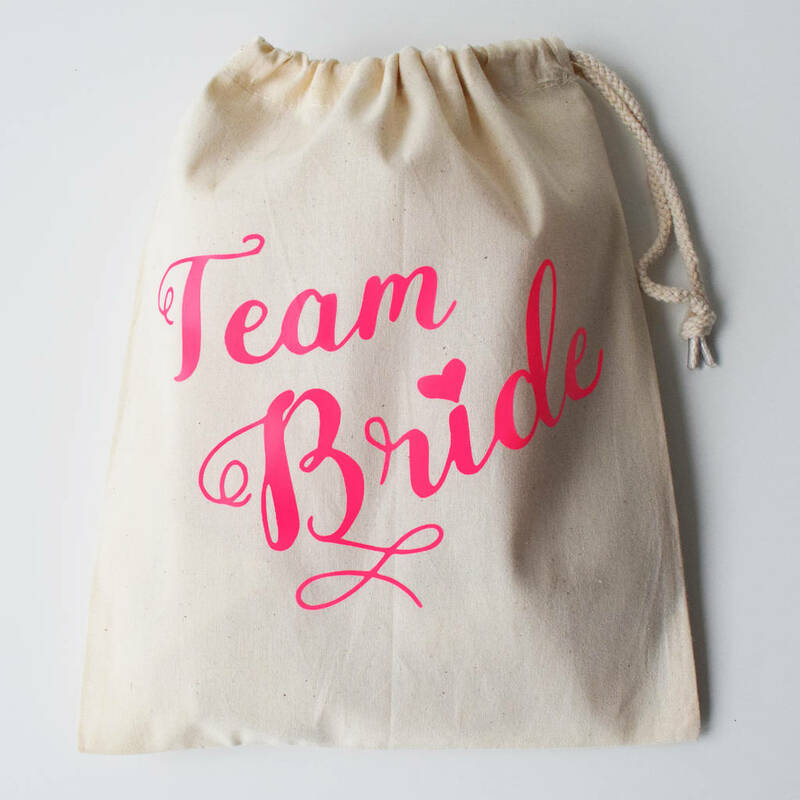 A fun bag for Hen parties and for the morning of the Wedding for the Bridal Party, great to hold little gifts and treats. 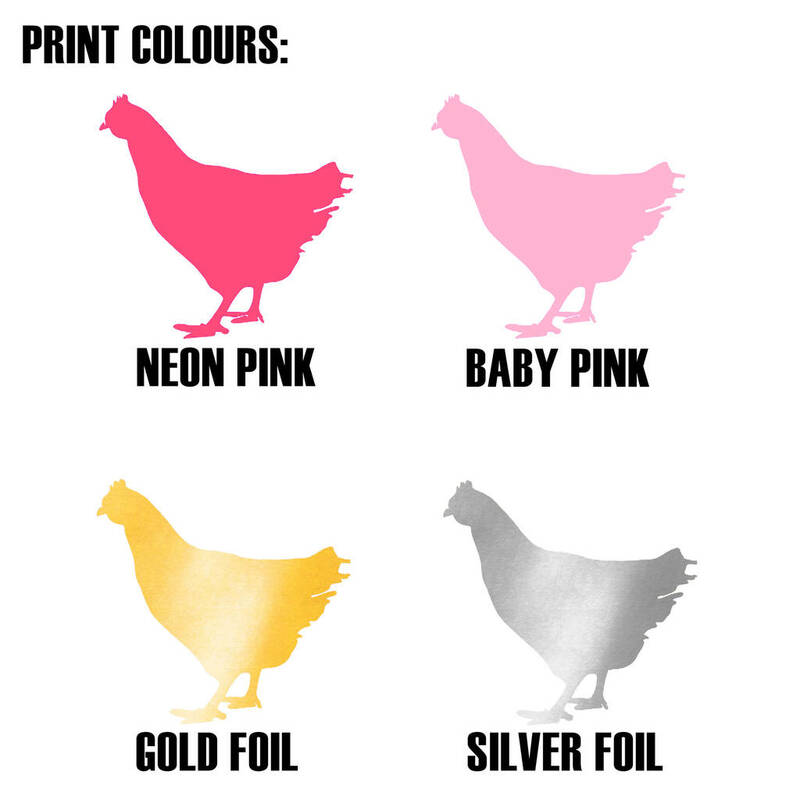 Available in three size options. Extra Small, Small and Medium. 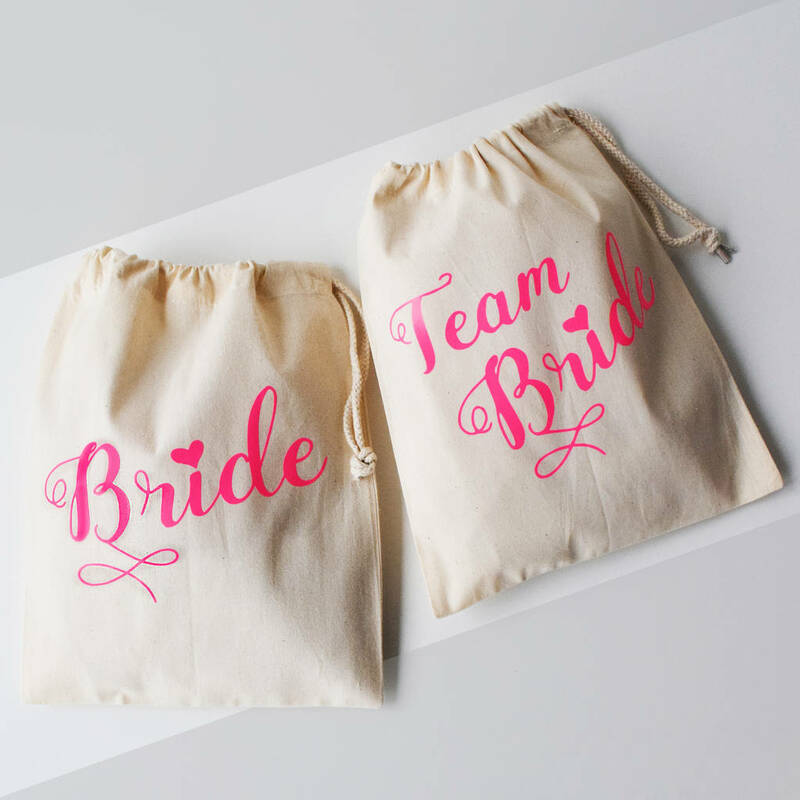 These bags can be used for the Hen party to hold gifts, games and other bits and bobs. They make a lovely keepsake for after the event. The bags can be used after the party for holding make-up, hair things and the Medium size will even hold shoes!!!! Let us know the the bag colour, size and the print colour. 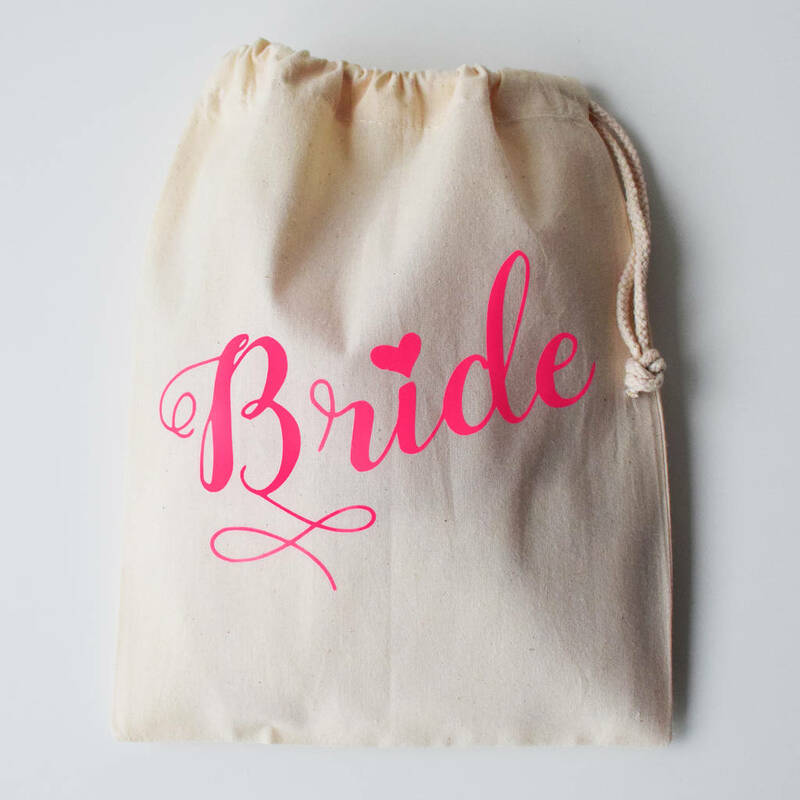 As this bag is 100% cotton it can also be thrown in the wash. Please see care instructions below.